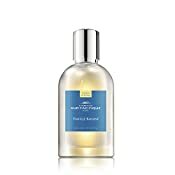 Comptoir Sud Pacifique Vanille Banane, Eau de Toilette Spray, 3.3 fl. oz. 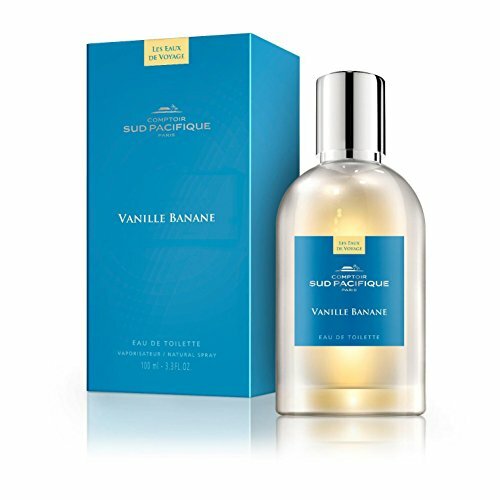 Vanille Banane is your ultimate escape this winter while you endure the cold. Imagine stepping foot onto the warm sand within the most pristine beach. Miles of crystal clear waters starring back at you and the softness of leaves brushing in the background. You turn around to witness the scenery of vibrant, lush tropical Banana trees, delighted by gourmand scents of Banana fruits. Combined with the green notes of the Banana leaves, and the delicious cocktail you received full of Rum and Vanilla, you are left with an intensified olfactive memory that lays one spritz away.